Last Friday, “House2House Magazine” published an article that I wrote called “I Know How to Do a Bible Study.” I appreciate Keith Giles for inviting me to write for the new magazine and for publishing a couple of my articles. It’s really interesting, especially since I’m not really a “house church” guy. (See my post “Why I’m not a house church proponent.”) Anyway, there are some very good posts at House2House Magazine, and most of them are applicable to all followers of Jesus Christ, even those like myself who do not only meet in homes. I know how to do a Bible study. For as long as I can remember – at least from elementary school – I have been in Bible studies. They have had many different names: Sunday School, Vacation Bible School, Discipleship Class, Youth Group, Bible Fellowship. But, they all had something in common: a bunch of people got together to hear someone teach a passage or topic from the Bible. Over the years, I even learned how to lead and teach Bible studies. 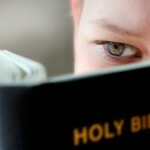 I learned how to study Scripture, how to prepare a lesson, and how to teach the Bible. I could convince people that they needed to attend the Bible studies, encourage them to join with others in studying Scripture, and even show them some things from the Bible that they had never noticed before. In the article, I also write about knowing how to do participatory church meetings and missions projects. But, the conclusion is the most important part to me. Please use the link above to jump over to House2House Magazine and read my short article. I think we are indeed missing the forest for the trees. Everything in Scripture points to a people filled by the Spirit of God and held in community by the same Spirit for the purposes of God. God intends community, and He intends it without measure. If we don’t see that, we really are wasting our time. Your last paragraph is the real kicker and ‘point of it all’. It’s apparent to me that many, many folks ‘know how to do a Bible study,………’. What few know is ‘How do I do LIFE together?’ Even folks who understand that it’s about ‘doing life together’ don’t know what it looks like. Instead, they default to Bible studies, particapatory meetings and mission/serving projects. We genuinely don’t know about this ‘life thing’ and these other manifestations are default setttings due in large part to our ignorance. Part of this problem is that ‘life together’ is not easily measured nor is it particularly valued by our western church culture. We mouth it, but the practice is that we demonstrate that we value the ‘meetings’ over ‘life’. We encourage attendence to some ‘thing’ at the expense of applauding and holding up those who choose ‘doing life’ over attending another meeting. Also, doing ‘life’ doesn’t feed the machine financially. I used to think that ‘following the money’ within Christendom was pretty cynical but I think that it really has an effect. We ‘need’ to justify salaries and we ‘need’ to see ‘growth/success’. Therefore we need measurable quantities. Numbers. Butts in seats. Number of small groups. Etc. We also don’t know, as believers, how to practice teaching and sharing our faith and learning from others while apart from attending something ‘sacred’ as you put it. We desperately need models of how this looks rather than models of another new program. Jesus modelled this. Paul modelled it. Our Christian models reinforce form, educational learning, programs, music, sermons and sacred over ‘regular’. How then, can we fault our brothers and sisters since they have not seen another way? Those who are models of doing life are reluctant to talk aboiut themselves and no one else is either! When our gatherings speak of, share about, affirm those who model ‘doing life’, then we will ‘see’ the way to do life together. Thanks for keeping the dialogue going! Hey that was good Alan, it’s been awhile. The title hit my brain and therefore read everything, but didn’t get to see or understand HOW to study the Bible. mmmmm maybe I missed the point. I did get all the great points on how a fellowship or church or how believers work together, that was good. Thanks for the feedback on my article, everyone.